Hello from Sweden! We are almost ready for Christmas with just a couple of last minute errands to run. Sweden is stunning this time of the year! Every window and balcony has Christmas lights shining from them and it creates an absolutely magical atmosphere. We shot this look last week in London and I am so excited to see what you guys think about this colourful outfit. I realised that I’ve been wearing quite dark clothes lately so I wanted to play with prints and colours a bit. And even though mixing too many different ones isn’t completely comfortable for me – I do like to challenge myself sometimes. I took the risk of putting similar shades together and I do like the result. Also how stunning is this coat?! And bag?! These kind of pieces are perfect if you want to stand out from the crowd during winter months. Merry Christmas to you all and I will be back before New Year! Have a wonderful and cosy time wherever you are! Nothing but love and kindness to you and your families! Love the bold patterns and colors! Great look! Such a unique coat. Love it. This is simply stunning outfit and SO inspiring!! 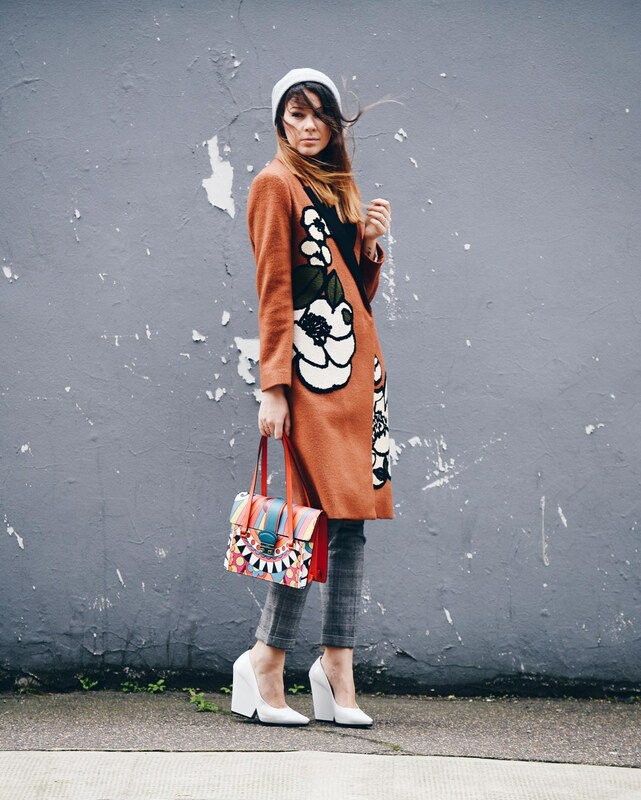 I’m in love with your incredible coat and super unique bag! What a great style to carry the coat. In love with this! Such a brilliant style and look.All of thing she wear is too good..